The Snap Inc, Snapchat’s parent company which started as a tiny startup, has turned into a $25 billion juggernaut in five years and will be going public in May. The man behind Snap’s success is Chief Strategy Officer Imran Khan, who has been granted $145 million worth of shares in about two years, the company said in a report on February 2, reports the Business Insider. Imran, 39, born and raised in Bangladesh, went to the United States as a student and graduated from the University of Denver’s Daniels College of Business in 2000. He joined Snap in early 2015. 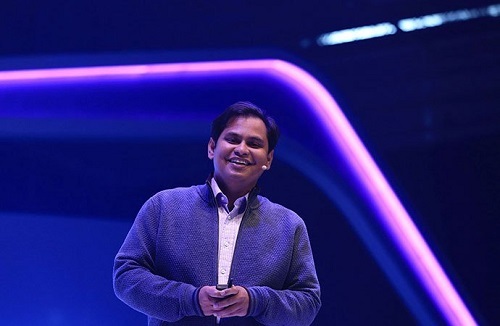 Although Imran’s official role has been to build up revenue, expand the business, and run ad sales, he has helped the Snap Inc chart to an initial public offering (IPO). Imran was paid a $5 million bonus on 2016 because of his magnificent success. During Imran’s early career he worked at a small company, called Fulcrum Global Partners, until about 2004. Imran moved to JPMorgan in 2004 where he eventually became head of global internet and US entertainment equity research. In 2011, after six years with JPMorgan, Imran moved to Credit Suisse to take over the company’s internet-banking franchise. Later he was hired by Snap while working as Credit Suisse’s head of global internet investment banking. Imran has been best known for his leading role on the IPO of the Chinese e-commerce giant Alibaba Group in 2014 with the largest share sale ever. It was Alibaba cofounder Joe Tsai who referred Imran to Credit Suisse and encouraged him to transition from an analyst to a banker, three of Imran’s ex-colleagues told the Business Insider. While Imran moving to Snap was newsworthy, he was not the only Wall Streeter to wind up playing the “grown-up” in a technology startup. He was in competition with Anthony Noto, Twitter’s finance chief, who was once the head of technology banking at Goldman Sachs, and Ruth Porat would make the move from Morgan Stanley to Alphabet, Google’s parent company. For Imran, this was not the first major pivot in his then 15-year career. Imran’s ex-colleagues described him as making ambitious and strategic career choices. Bankers who know Khan said he has stayed in touch since moving to Snapchat, but not as much as he used to. Imran’s ex-colleague told the Business Insider: “He’s become more private since working at Snapchat,” depending on Snap CEO Evan Spiegel’s fondness for privacy. Imran helped Snap’s revenue from $58.7 million at the end of 2015 to $404.5 million at the end of 2016. The company launched Snapchat Partners, an advertising API, over the summer to expand the advertising business. “He never assumes that something is just going to happen for him,” one of Imran’s ex-colleague said. Another ex-colleague said that Imran would build up relationships with company CEOs so that he could get the first question on quarterly-earnings calls. Once Imran has decided he wants to get somewhere, he is very good at figuring out what he needs to do to get there, this person said.